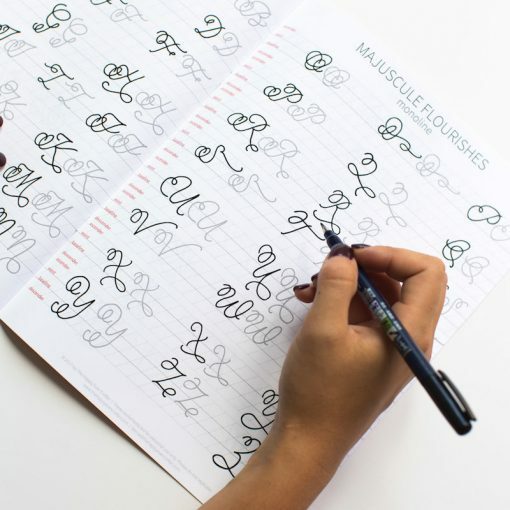 You’ve mastered the basic strokes and learned how to form letters and words… and now you’re ready to bring some style into your calligraphy practice! 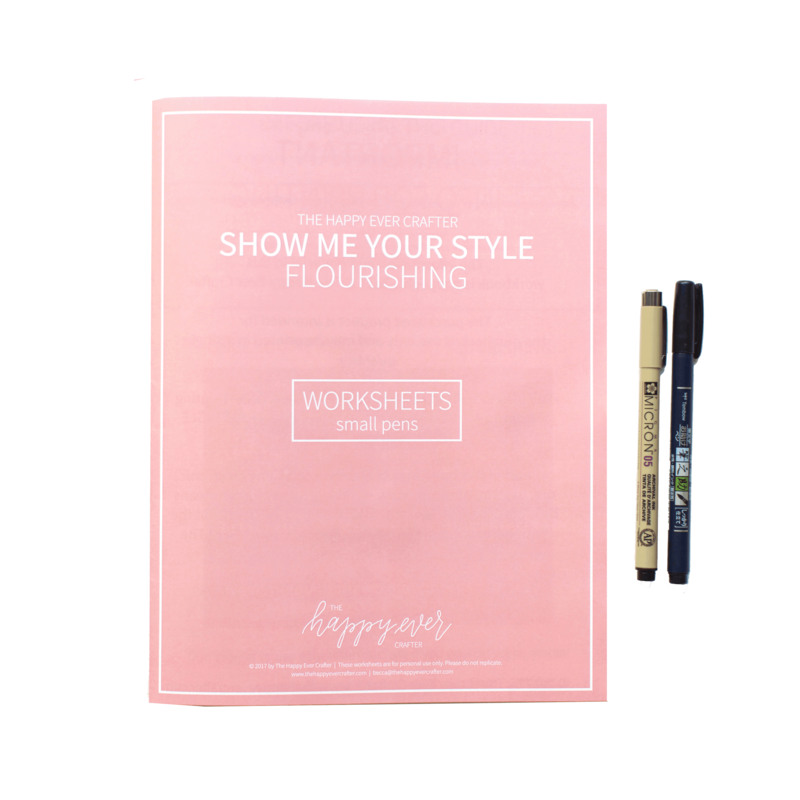 The Flourishing Workbook & Online Training introduces flourishing techniques from the ground up. 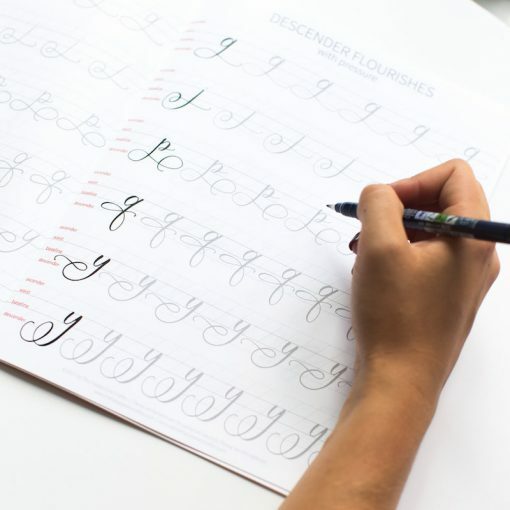 Using a combination of monoline techniques as well as full pressures, it builds your flourishing muscle memory, enabling you to more naturally add flourishes to your letters and layouts! 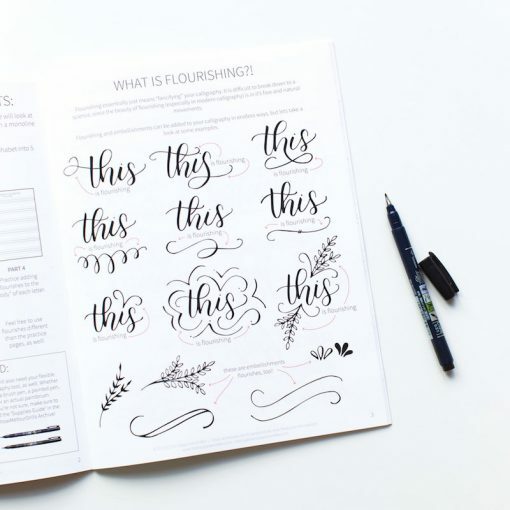 By the end of the book, you’ll be able to effortlessly add flourishes to your beautiful calligraphy pieces! BONUS! Block lettering workbook to flourish your designs even further! When you purchase this workbook & course, you’ll be among a big group of other pen-friends (yes, I made this up) who are going to do it at the same time! 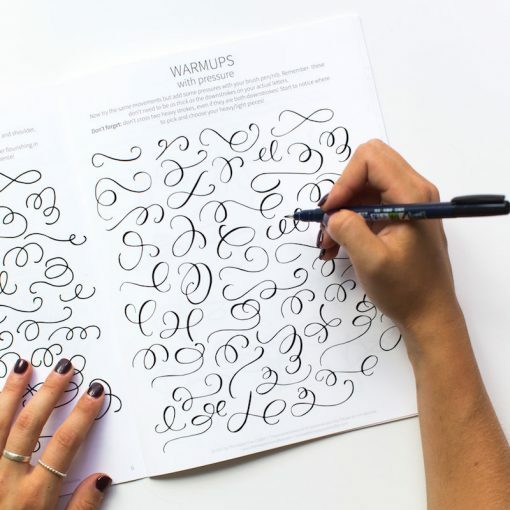 You’ll get access to a private Facebook community. Each day, we work through our lettering together. 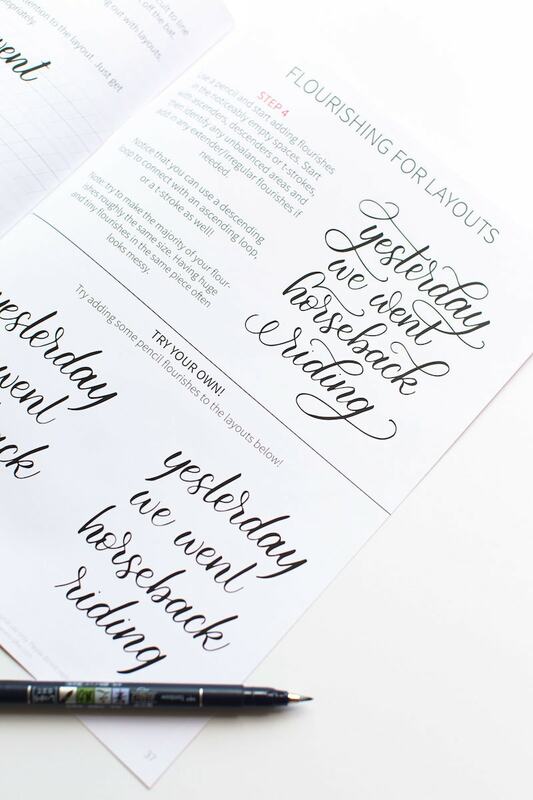 You can share your work in our daily prompts and get instant feedback and tips for improvement!